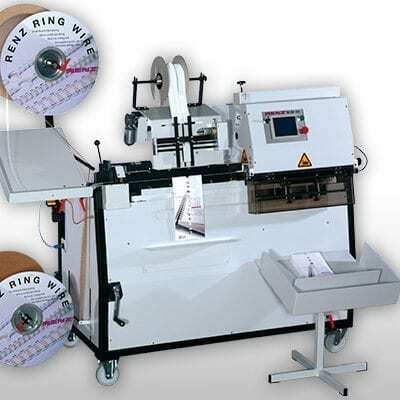 Key FeaturesSemi-automatic ring wire binding machine for books, calendars and skip binding. High flexibility of different paper formats. Ability to bind oversized products. Touch screen assisted setup process. Short setup times no tools required. Binds up to 260 sheets. Product is easily loaded by hanging it on to the element. No special training is required. Wheels allow the machine to be moved easily Optional extra: Shingle conveyor. KAS calendar hanger systems.